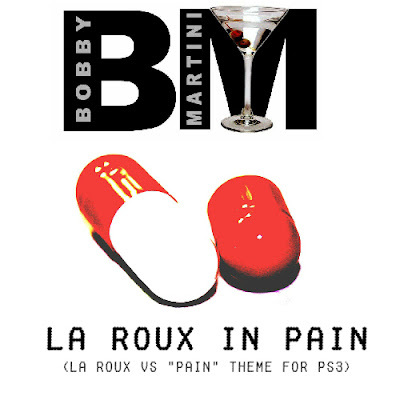 La Roux Double Pack including "La Roux In Pain"
After a long time off I bring you two new mashups, both featuring "Bulletproof" by La Roux. The first is La Roux vs Chuck Carr....never heard of him ???? - Well you have now. He wrote the theme tune to the PS3 game "PAIN" and I just though it would fit "Bulletproof" perfectly. 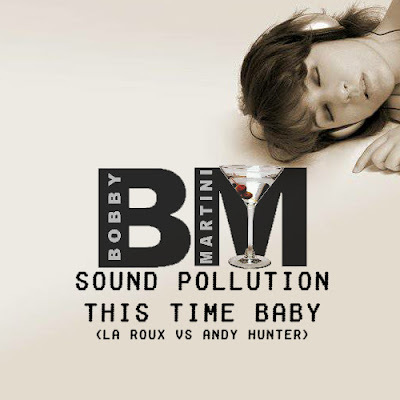 The second mash is a fusion with Andy Hunter's "Sound Pollution". You may have heard of him, maybe not? Either way, visit his site, buy his tunes and enjoy.....he is pretty good. Happy Xmas and all that.....till next time....Bobby ! 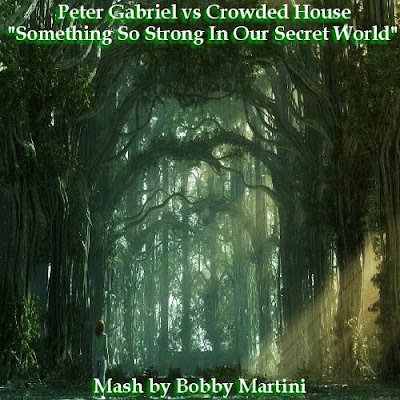 Peter Gabriel vs Crowded House Mashup - "Something So Strong In Our Secret World"
This is the third and last in my Crowded House mashup trilogy. 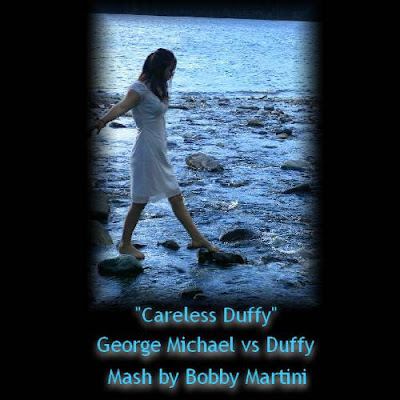 A fusion of Peter Gabriel's beautiful "Secret World" and Crowded House' "Something So Strong". I reckon these two tracks were made for each for other. 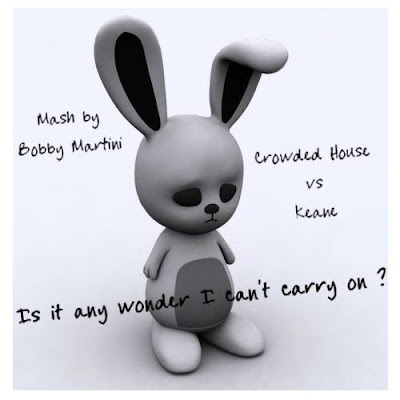 Weighing in at nearly 6 minutes and just over 10mb worth of download - it's well worth it ! It's where I first started posting and is probably one of the most followed mashup sites still around today. Where others come and go, mashuptown is still around today so if you haven't heard of it before, go give it a try and subscribe. 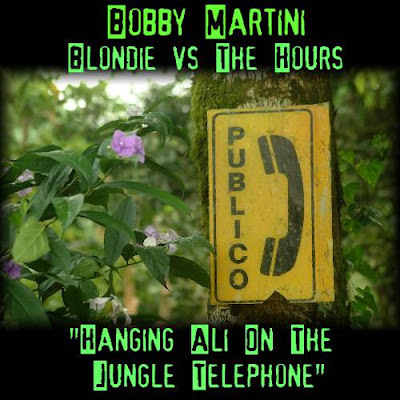 This fusion of Blondie's "Hanging On The Telephone" and The Hours' "Ali In The Jungle" was meant to be a mashuptown exclusive but unfortunately that has not been the case so it's available as per normal via my main site www.bobbymartini.co.uk on mashups page 9. First of all.....Happy New Year !!!! Now that's out of the way, and I hope it's a good one for all of us, on with the business. I haven't produced a long mix for over a year and after some nagging and a few emails I finally gave in and produced a new one which was first aired on the Ramdom Thoughts podcast show 133 just over a week ago. 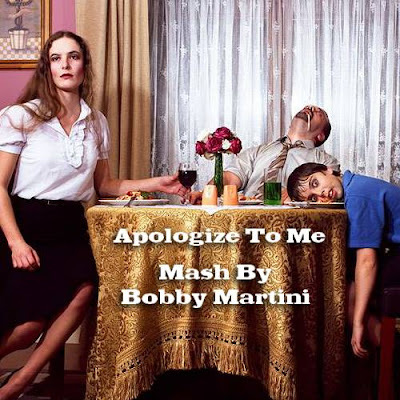 You can now download the entire 90 minute mix in mp3 format by visiting the usual address www.bobbymartini.co.uk and clicking on the Long Mixes page. The mix is basically a collection of my favourite remixes over the past year all blended together so you don't have to ! I hope you enjoy this look back over the past year or so and don't forget to leave some comments so I know if you want more or not ??? ?